Air bubbles break the water's surface near the government wharf in Bay Roberts, N.L. Under the water, the bubbles come from scuba diver Shawn Bath. He's on the ocean bottom struggling to tie an old tire to a rope so he can haul it up to the surface and out of the ocean. 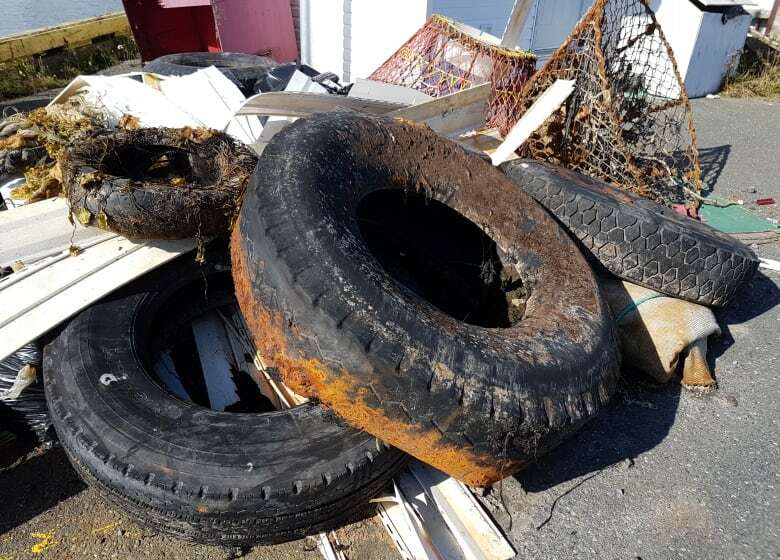 Over the course of a month, he's done this about 50 times, hauling tires out of the harbour. "It's heartbreaking," he says. "Heartbreaking to see what people have done to our environment." 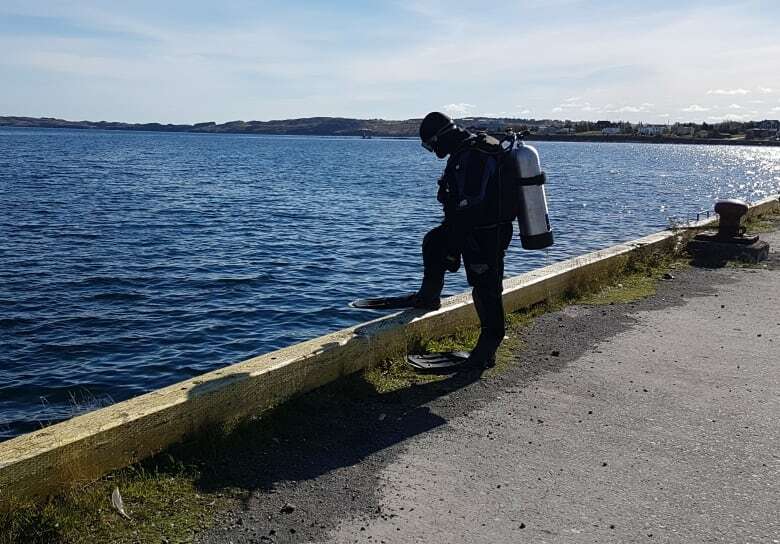 Bath has been a commercial scuba diver for 21 years and has worked in waters around wharves all across Newfoundland and Labrador. "Everywhere I've dove has been been pretty much the same thing — garbage, tires, rubber boots, rubber coats," he said. "Whatever a man didn't want was thrown over the wharf." He's become so disgusted with the illegal dumping into the ocean that he's has started a non-profit group called Clean Harbours Initiative. 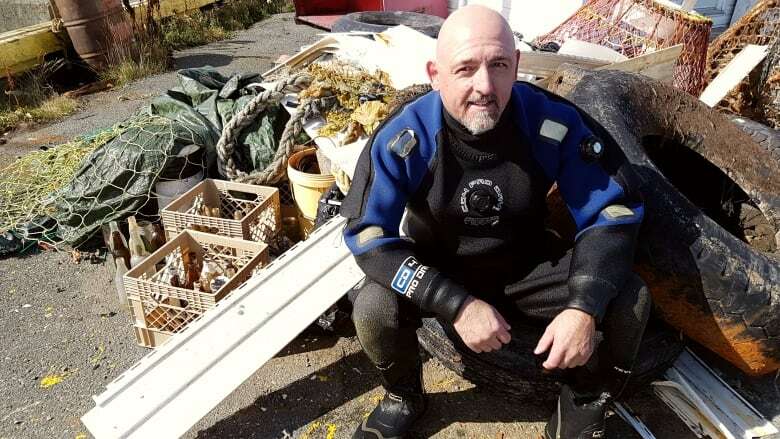 For the past three months, he's been in harbours from Twillingate to Bay Roberts, hauling out as much garbage as he can find. "Fridges, stoves, washers, dryers, whatever. You name it, it is on the bottom, Parts of engines, oil filters, crab gear," Bath said. "Rope is the big thing. Our oceans are littered with fishing gear and rope. If you were to drain the ocean and walk out on these wharves and look around down on the bottom, you'd think they built the wharves on top of landfill sites." Bath isn't just put off by the look of the underwater dumps; he's worried about the effect all this garbage is having on fish and humans. "Can you imagine how much micro-rubber comes out of one of these tires?" he said. "A school bus tire probably puts out a million pieces of rubber, microscopic pieces of rubber, and that's being eaten by the fish — and we're eating the fish. And we're wondering where we're getting diseases [from]." Bath describes himself as a diving addict who has to be in the water all the time. He makes a living diving for sea urchins, but Bath says he'd now like to turn his attention to protecting the environment as a full-time job. He's had donations from as far away as Australia and the United States, but he's looking for local support. 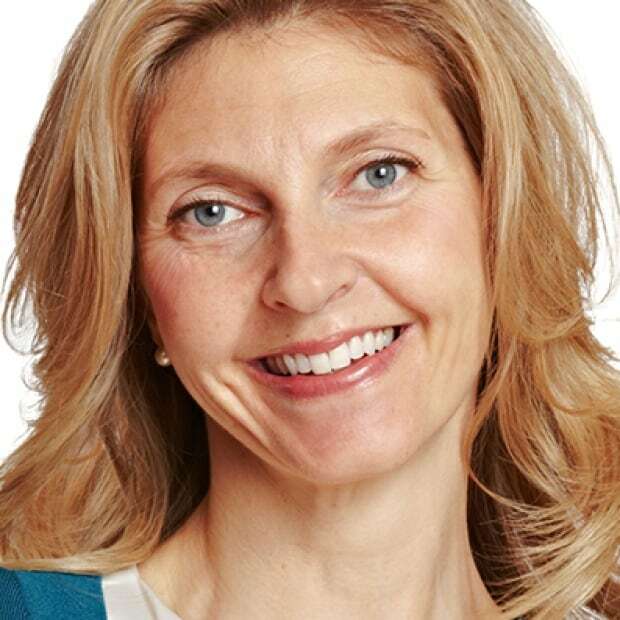 "There's lots of people around who got the money to fund this and I'm hoping soon we'll meet some of these people, but as of right now, it is just myself and a few volunteers," said Bath. Recently, a local service group in Twillingate made a donation. When the zippers in Bath's dive suit needed replacement, the Lion's Club wrote a cheque for $850. Bath said without the repair, he wouldn't have been able to continue his work. He is buoyed by the growing local support. "There is an awakening happening all over the world. People like myself are starting to clean up the oceans and starting to raise money for that purpose." Bath's goal is to create awareness of his Clean Harbours Initiative. 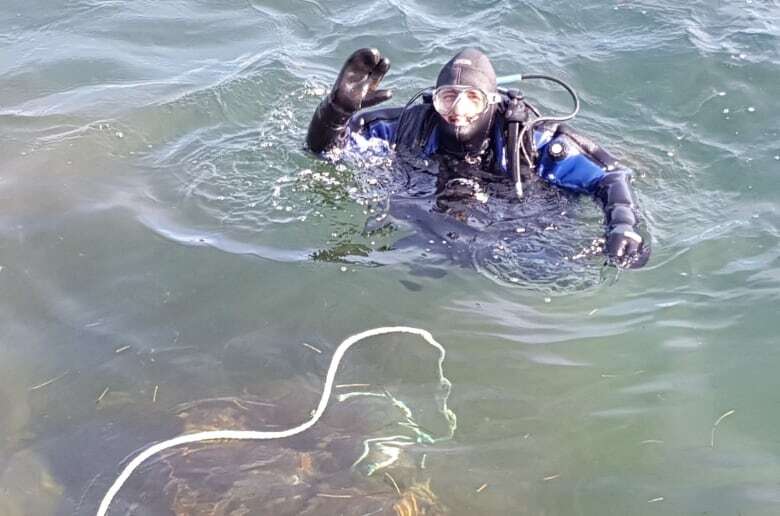 He hopes to have a boat, a trailer and a team of at least three divers travelling to harbours all over the province.